They've been together for six years. Ever since Katie Holmes and Tom Cruise divorced, we’ve all been hoping that one of America’s sweethearts would find the happy ending she deserved. While the pair were once Hollywood’s number one power couple, they split in 2012 after six years of marriage. Many reports revealed that Scientology may have been a partial reason for their divorce, and that Holmes feared Cruise would abduct their daughter, Suri, amidst intimidation from the Church of Scientology. After the divorce, Holmes returned to the Roman Catholic Church, and shortly after (about a year or so), began dating Jamie Foxx. The two had been friends since at least 2006 but struck up a romance and managed to keep it a secret until almost two years later, in 2015! Us Weekly released blurry photos of the couple holding hands, giving us a first look into their incredibly secret relationship. Over the years, the couple has indeed managed to keep details of their romance on the DL but along the way, have been spotted in public together, holding hands, walking arm and arm, whispering and smiling with one another, and even exchanging some steamy PDA. Though they’ve never technically confirmed their relationship, we have reason to believe they may no longer be together. 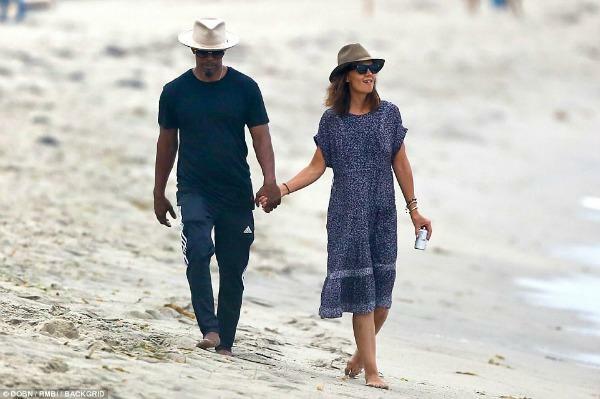 Did Katie Holmes and Jamie Foxx break up? It certainly seems that way, especially after Jamie Foxx said he was “single” at an Oscars after-party! Say it ain’t so! On February 24, Foxx attended Byron Allen’s party at the Beverly Wilshire Hotel. Right before he performed, he told the crowd he was single, all while being surrounded on-stage by women. But was it just to garner attention before his performance? It may not be likely. Uh-oh. Is there trouble in paradise? Just back in December, the couple vacationed in Miami. Sources called it a “make or break” vacation, in which Katie tried to convince Jamie that she was 100 percent committed to the relationship. Why, then, did Foxx announce he was single? It comes as a shock to both Hollywood and fans, as the couple seemed to really enjoy each other and had been together for the better part of six years! Well, that’s Hollywood romance for you. Only time will tell.